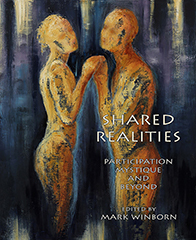 Shared Realities: Participation Mystique and Beyond brings together Jungian analysts and psychoanalysts from across the United States, the United Kingdom, and France. Shared Realities was a nominee for the 2015 NAAP Gradiva award for best edited book in psychoanalysis. Carl Jung’s concept of participation mystique is used as a starting point for an in depth exploration of ‘shared realities’ in the analytic setting and beyond. The clinical, narrative, and theoretical discussions move through such related areas as: projective identification, negative coniunctio, reverie, intersubjectivity, the interactive field, phenomenology, neuroscience, the transferential chimera, shamanism, shared reality of place, borderland consciousness, and mystical participation. This unique collection of essays bridges theoretical orientations and includes some of the most original analytic writers of our time. An essential read for psychoanalysts, Jungian analysts, psychotherapists, and analytic candidates. Contributors to this edition of the Fisher King Review include: Jerome Bernstein, Dianne Braden, Deborah Bryon, Michael Eigen, François Martin-Vallas, Pamela Power, Robert Waska, Marcus West, John White, and Mark Winborn.